The split central air conditioner is far and away the most popular way in which homeowners may choose to cool their homes during the hot summer season. That being said, though, it is not your only option, nor is it necessarily the option that best suits your needs and personal preferences. 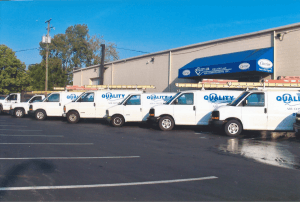 If you are ready to invest in an air conditioner for a brand new home, or if the time has come replace your home cooling system, then you may want to consider the use of a heat pump in Columbus, OH. Read on to learn a bit more about heat pumps, how they operate, and the benefits that they have to offer. What Sets the Heat Pump Apart? During the summer season, a heat pump functions much like the central air conditioner. These systems utilize the refrigerant cycle in order to absorb heat from the air surrounding the indoor evaporator coil in the air handler, and that heat is the dispersed outdoors at the condenser. During the winter, though, the heat pump proves precisely why it is such a popular presence in the comfort industry. By using a component called a reversing valve, the heat pump is actually able to reverse the flow of its refrigerant and the function of its coils, in turn completely reversing its entire course of operation. The heat pump absorbs existing heat from the air outside, compresses the warmed refrigerant, and uses its thermal energy in order to heat one’s home. Not only does this mean that you can use your system year round, but also that you can heat your home with truly remarkable energy efficiency. Only a small amount of electricity is required in order to heat your home with a heat pump. Give Quality Air Heating and Air Conditioning a call to schedule great AC services.